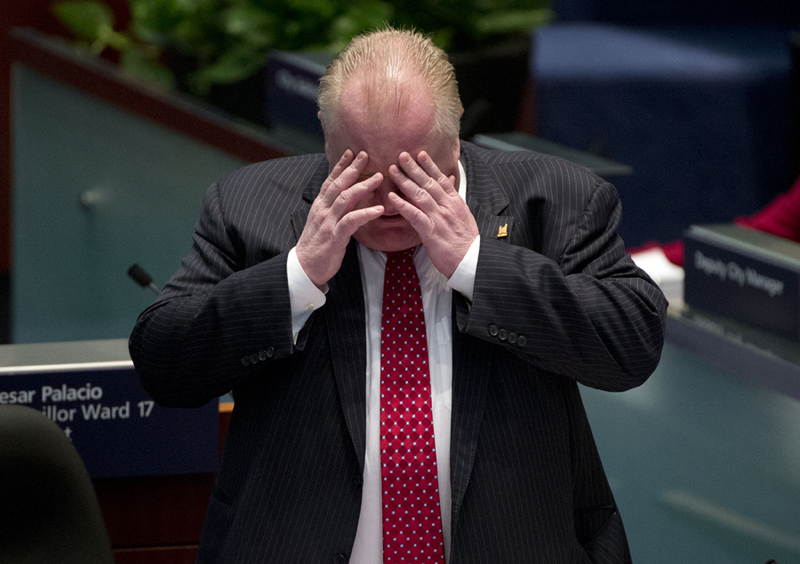 In honour of Mayor Rob Ford’s latest antics and the launch of Robyn Doolittle’s book “Crazy Town”, I reckoned I’d put a gallery together from my two days covering the embattled mayor during the budget vote at City Hall last week. 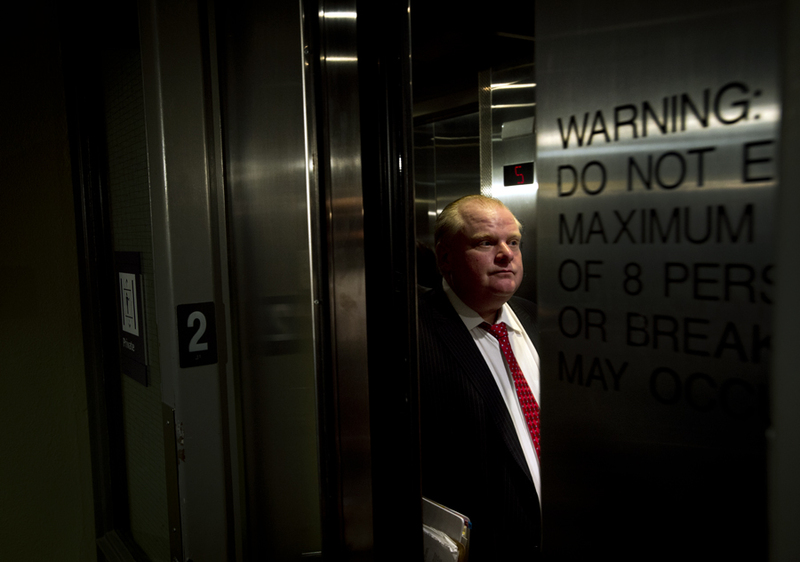 Mayor Rob Ford waits on an elevator while refusing to answer reporters’ questions before a city council vote on the 2014 capital and operating budgets at City Hall in Toronto Thursday, January 30, 2014. 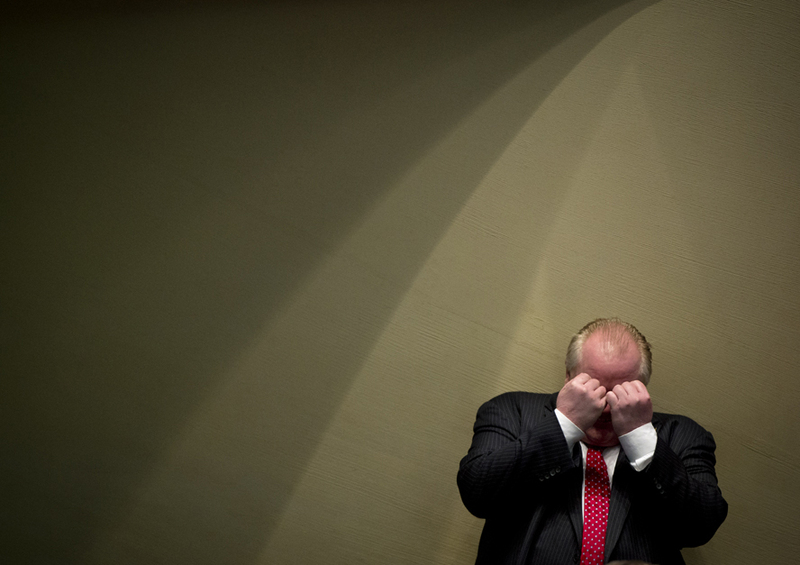 Mayor Rob Ford gestures while presenting motions to save money during a city council vote on the 2014 capital and operating budgets at City Hall in Toronto Thursday, January 30, 2014. 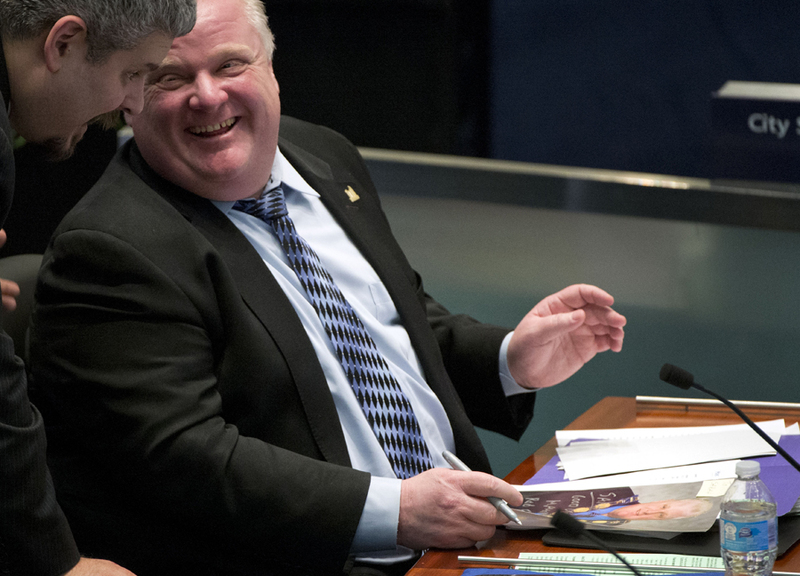 Mayor Rob Ford laughs with a member of his staff while he autographs 8×10 pictures of himself as council was discussing the 2014 capital and operating budgets at City Hall in Toronto Wednesday, January 29, 2014.